Adventure Island II (高橋名人の冒険島Ⅱ, Takahashi Meijin no Bōken Jima Tsū?, lit. "Master Takahashi's Adventure Island II") is a platform game released by Hudson Soft in February 1991. 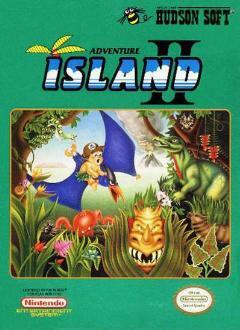 It was first released for the NES, and ported to the Game Boy under the name Adventure Island. The Game Boy version was then ported to the 3DS Virtual Console. This page was last edited on 26 May 2018, at 09:08.